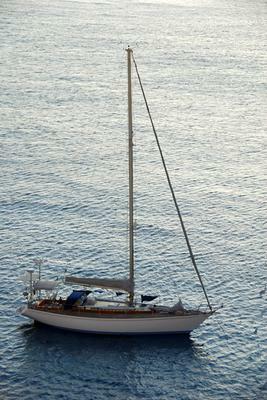 Avocet of Ryme is for sale after a successful 18 month trip around the Meditteranean and the Atlantic. She has a strong red cedar/ epoxy sandwich hull (West system) and a cutter rig. Built to the best standards by Mustang Yachts in the UK in 1983, she is in pristine condition with all major items having recently been changed or updated (Teak deck 2007-8, Sails 2013, Electronic 2013 etc.). 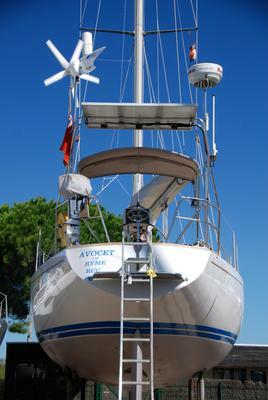 Avocet is a very stiff and seaworthy vessel and a real head-turner. She is now in south of France in Port Napoleon shipyard awaiting her new owner. Avocet of Ryme is a Mustang 45. She's registered on the Part 1 registry (MCA) and the VAT is paid for Europe. Thanks for your comments. 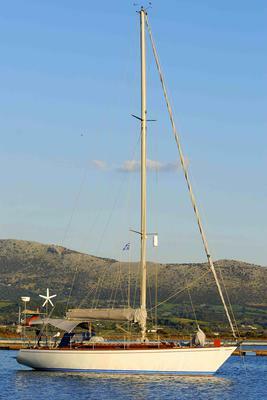 Avocet is à fin keel, but it is longer than on modern boats giving her extra stability on route. She has a hung rudder which bronze bearings were changed 2 years ago. 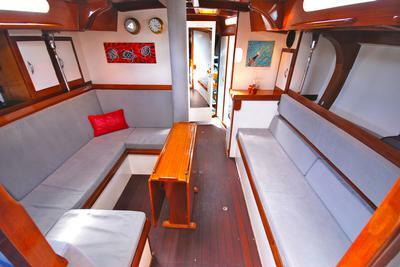 Being a fan of wood-epoxy construction, if I was looking for a new cruising boat then I would definitely want to have a good look at 'Avocet of Ryme'. Ideally for cruising, she's a cutter-rigged sloop - but would soon have a servo-pendulum self-steering gear on her stern if she became mine! Pierre, what's her underwater configuration? Fin keel and skeg-hung rudder?